Written by admin. Posted on February 16, 2009. Filed under North Pacific Gyre, Plastic Reef, Research. Tagged North Pacific Gyre, Research. No comments. 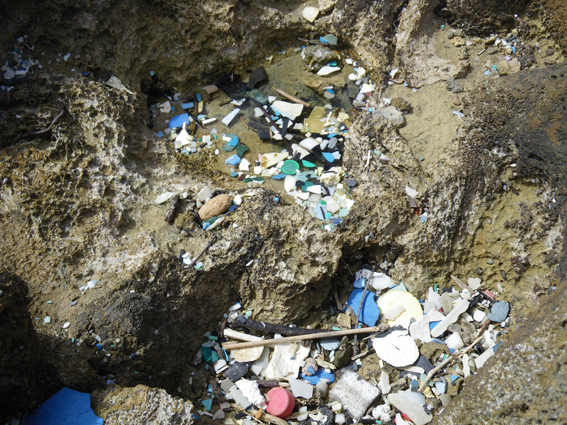 In February 2009 I went to the Hawaiian Islands to collect more plastic. They are located in the middle of the North Pacific Gyre and get a lot of plastic flotsom on their beaches. For one day I joined the volunteer group B.E.A.C.H. who is collecting, categorising and counting every piece of plastic they find. They shipped five boxes after my departure which I melted on to the first Plastic Reef. Beach Environmental Awareness Campaign Hawai`i (B.E.A.C.H.) 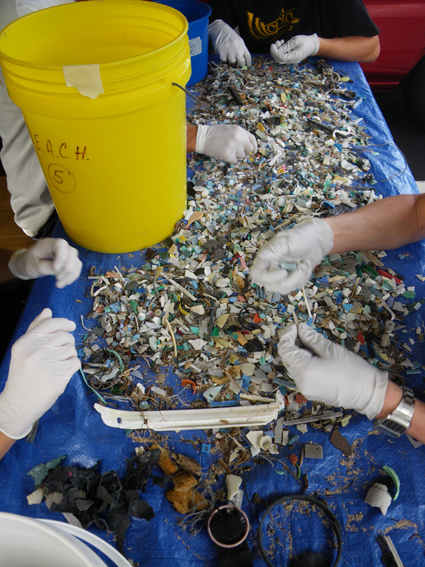 is a non-profit, volunteer organization concerned with bringing awareness and solutions to the problem of marine debris and litter on Hawai`i’s beaches. B.E.A.C.H. organizes litter prevention campaigns, educational presentations to schools and community organizations and beach clean-ups in order to educate the community about the need to care for Hawai`i’s beaches, coastline and marine life. Written by admin. Posted on January 6, 2009. Filed under Plastic Reef, Research. 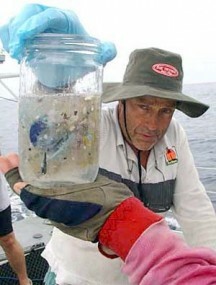 Tagged North Pacific Gyre, Research. 2 Comments. 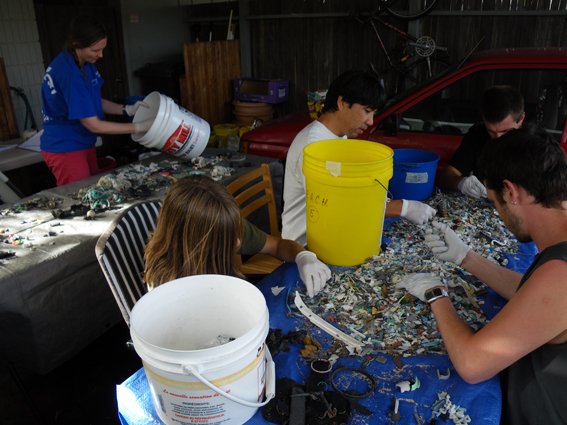 In January 2009 I went to Los Angeles to do preliminary research for the ‘Plastic Reef’ project. I met Charles Moore, who discovered the North Pacific Garbage Patch in 1997, at Algalita Marine Research Foundation in Long Beach. He gave me the first samples of plastic debris collected on his previous research expeditions in the North Pacific Gyre which I used to make the first ‘Plastic Reef’ for the exhibition This Is The Future Before It Happened in Glendale College Gallery, Los Angeles. 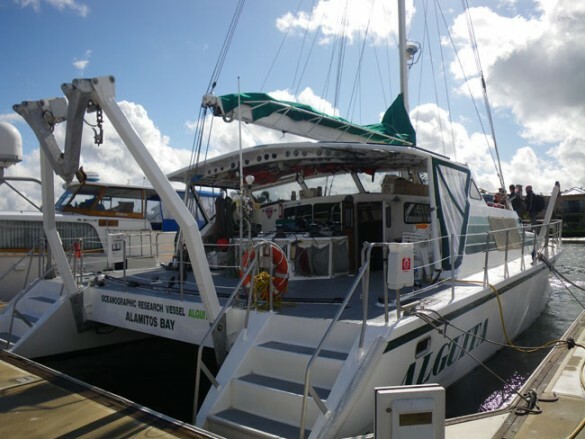 Afterwards I went to his house and to his boat Alguita, which is used for all the research expeditions of Algalita Marine Research Foundation.